The fair of Kaila Devi, popularly known as Mahalakshmi, (the goddess of wealth), holds an important place among the celebrated fairs of Rajasthan. The fair as held at the village Kalia in Karauli district in the Month of Chaitra, starting from Chaitra Budi 12 and lasting for a fortnight. The temple of Kalia Devi is located on the banks of the Kalisil River in the hills of Trikut, 2 kms. to the north-west of Kalia village.It houses the images of Mahalakshmi and Chamunda. Kaila Devi has been regarded as the guardian deity throughout the ages by the Khinchis, the Yadavas and the princess of Karauli. A small temple dedicated to Bhairon is situated in the courtyard and facing the shrine of Kaila Devi is a temple of Hanuman locally called "Languriya". Throughout the year, there is a steady flow of devotees to this spot but during the Kaila Devi Fair, the participants number as many as 2 lakhs. One of the most venerated fairs of Rajasthan, Kaila devi fair is hels at the temple of Kaila Devi, who is worshipped as the guardian deity by the Yadavas, the Khinchis, and the princess of Karauli. 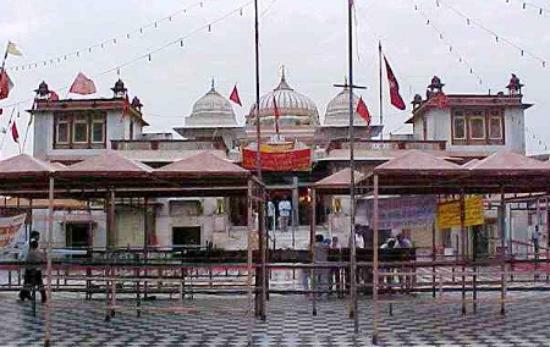 In the courtyard of the temple, there is a small temple of Bhairon and a temple facing the Kaila Devi's shrine houses Lord 'Hanuman', called 'Languriya' in the local dialect. Thousands of devotees belonging to all the communities visit the place throughout the year. The fair attracts a lot of pilgrims from other states also such as Uttar Pradesh, Madhya Pradesh , Punjab , Delhi and Haryana, who offers, coconuts, kajal (kohl), tikki (vermilion), bangles and sweets to the goddess. An interesting ritual is observed by the successors of Goli Bhagat, a great devotee of Kaila Devi, who come from Agra. This ritual called 'Kanak-Dandoti' is rigorous and is observed by other staunch devotees as well. These devotees cover a distance of 15 to 20 kms to the temple by lying prostrate and marking lines with their hands in that position, then get up and advance upto the drawn line and again repeating the procedure. Though some devotees do take some rest and eat food in between, but there are some who endure the hunger and exhaustion till they reach the temple. The faith of these people is exemplary. There are a large number of shops selling variety of articles and Mina tribal people perform dances of happiness and sing songs in the praise of the deities lending the gaiety to the environment.